It is logical that Cambodia was effected by the Vietnam war; as a small Kingdom on the boarder with significant influence from the US, the Chinese and from within, it was inevitable. What the history books neglect, however, is the severity of the impact and how the Kingdom would be left to pick up the pieces alone in a fractured political environment. From 1975 – 1979 Pol Pot reigned supremacy over the Kingdom of Cambodia. He and the Khmer Rouge infiltrated the country after years of planning in China during the Vietnam war. Together they, plagued the landscape: slaughtering, torturing and sacrificing up to a third of it’s people. Schools, parks and hospitals were transformed into prisons, torture houses and killing fields until Pol Pot was finally beaten down in 1979, forced to flee into the Thai countryside where he would live precariously until his suspected suicide in 1998. Today, with over half the population in Cambodia under the age of 30, the signs of war are still present in the troubled but growing land. The overwhelming youth dominate the streets in a perpetual state of unemployment – not because they don’t want to work but simply because of a struggling economy and lack of opportunity. Pol Pot believed agriculture was the way to build an industrial future for the country, so he set out to abandon cities, forcing inhabitants into the countryside, to live communally off the land. However, due to years of malnutrition and a lack of understanding toward the land, many of the newfound farmers were ill-equipped to maintain the land, returning to the cities, penniless and without jobs throughout the 1980s. Although the country is dripping with poverty and little economic stability and infrastructure, new developments are popping up in the cities – like Bombay 20 years ago – however, the appeal of a trodden down South East Asia remains attractive to tourists. This fact is keeping the post war Cambodia alive. 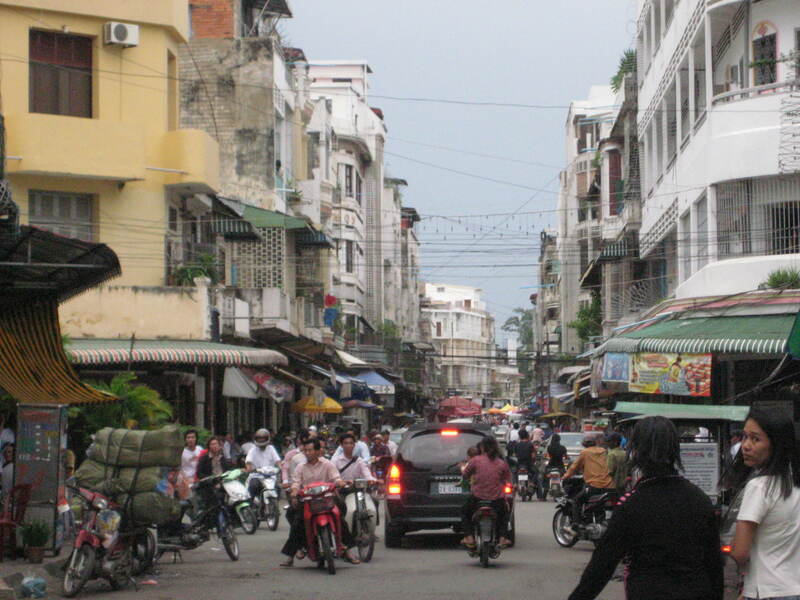 Many Cambodians rely heavily on the tourism industry for work as it is one of the largest sources of economy, second only to the garnet and fashion industry. Two weeks in country will prove to be an experience where you can cover off most of the countries cultural, symbolic and tourist hot spots. There are many wonderful sites around Cambodia that celebrate the new era of the people who are young, curious and impressionable. The Word Heritage site in Siem Reap is a vast agricultural park filled with ruins from the Khmer Empire spanning from the 9th to 15th centuries. The site is a concentration of life in the Empire containing communication trails, houses of the working class, palaces of the rich and places of worship. 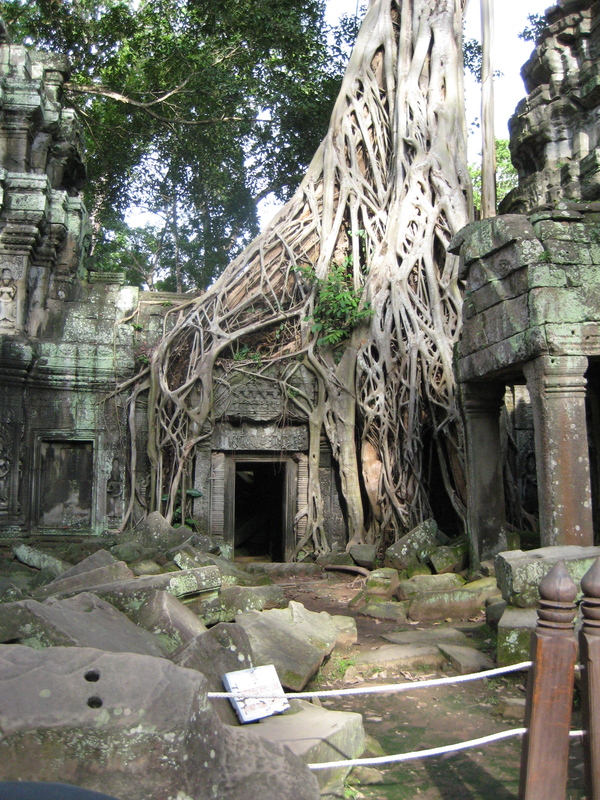 The famous Angkor Wat temple binds the dramatic landscape together, towering over the centre of the park. Tourists can get a one, two or three day pass to the park that allows you to enjoy the sunrise over the temple – a popular checklist item amongst travellers. 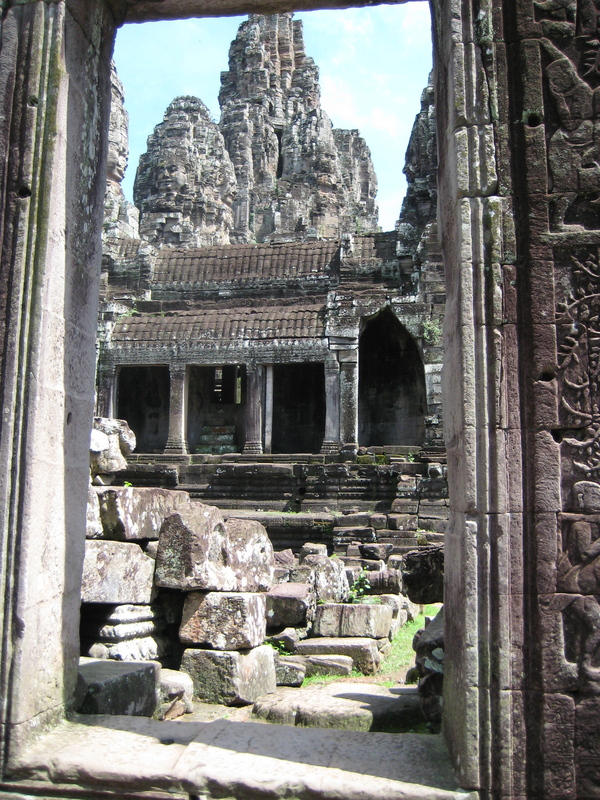 Angkor is a major site of education and many archeologists and historians travel to the site to gain a better understanding of the Angkor culture, values and social order. 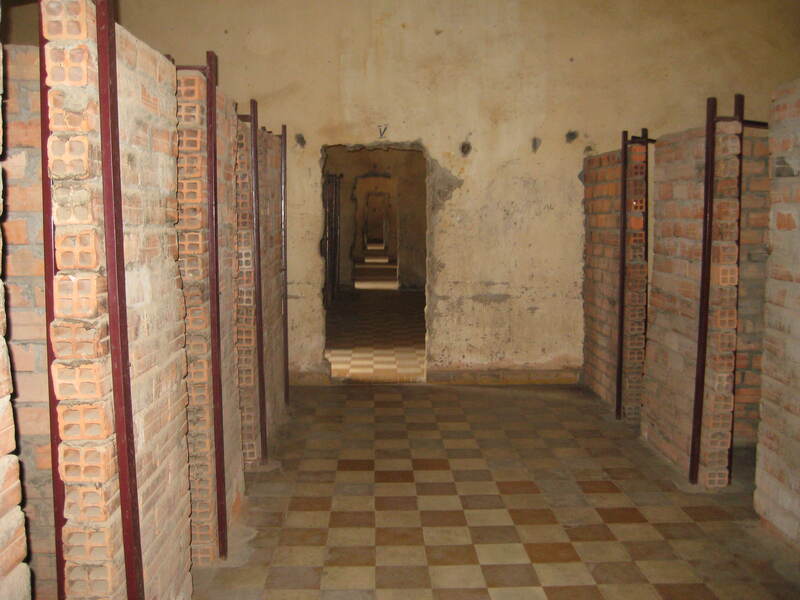 A sombre place, like so many concentration camps in Eastern Europe, Choeung Ek is the resting place of nearly 9000 Cambodians who were bludgeoned to death in the 1970s. Although almost a third of the unmarked, communal graves have been left untouched, the severity of the war crimes that took place here is revealing. Sombre yet questionable, many visitors highlight the unsympathetic nature in which the atrocities of the war are displayed; thought a tower of sculls and the torn articles of clothing and bone fragments that still scatter the grounds. 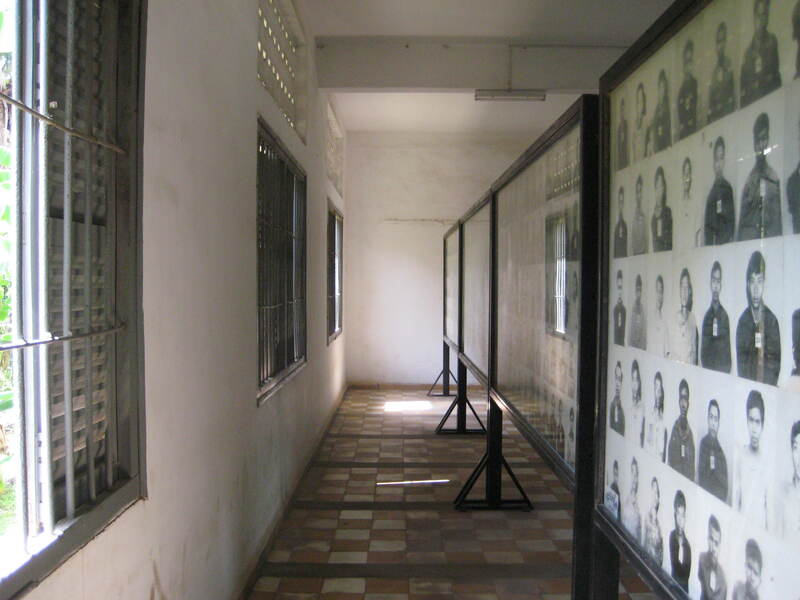 The Tuol Sleng Genocide Museum in the capital Phonom Phen is in similar vein to the Ho Chi Minh war museum in Vietnam. Riddled with infrustructural remains from the war as well as photographs of those who were killed, it is a chilling but educational experience. 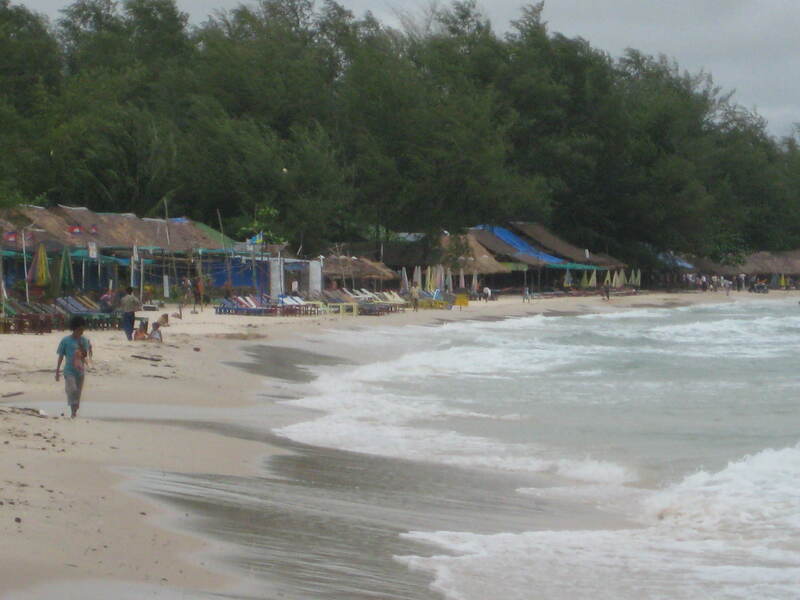 A once small coastal town on the south west coast, Sihanoukville is a growing tourist destination akin to PiPi Island and Phuket in Thailand. The bustling nightlife where nightclubs and bars in the main street serve cheap western style and some traditional foods but mostly, cheap drinks, keep many young backpackers up into the early hours of the morning. During the day, the beachside is peaceful and relaxing where you can play beach volleyball, read on one of the hundreds of lounges or travel the beach side hawker market stalls. Named after the first Prince, Sihanouk of the Kingdom of Cambodia, this sleepy coastal town is quickly becoming a tourist hotspot. There are hundreds of street markets in Phnom Penh packed with bric-a-brac, food stalls and everyday items. None other is like the Psar Tuol Tom Pong known to tourists as the Russian Market. The bazaar is full of kitsch South East Asian souvenirs and questionable authenticity from brands including Gap, Chanel and Aussie surfing brands. Hidden behind the flashing lights and heckling lies the true find; handcrafted (not all genuine) carvings, instruments, jewellery and artwork from local people in the area. The market was popular with Russian tourists throughout the 60s and 70s and is cause for the name. You’ll find loads of Russian era memorabilia too if you are prepared to tackle the humidity inside one of the regions largest indoor markets.